With a surprise shower washing out Friday’s qualifying session at Dover International Speedway, Paul Menard and the No. 21 Menards/Tarkett Ford are set to start 18th in Sunday’s Gander Outdoors 400. The line-up was set by car owner points. Menard and the Menards/Tarkett team were off to a good start at Dover on Friday. 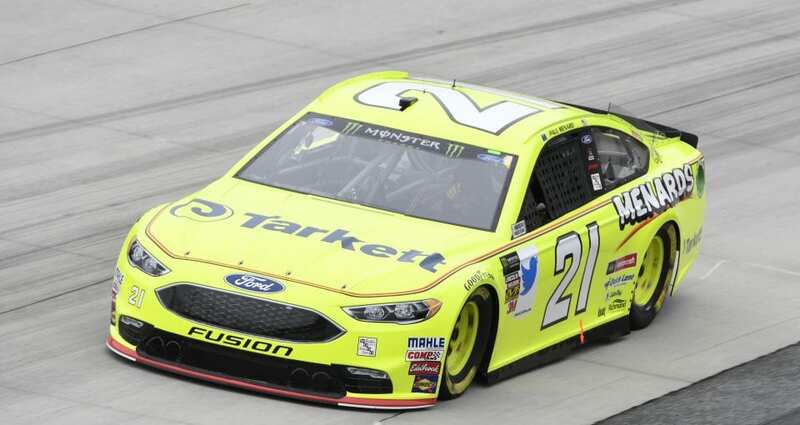 Menard and the team backed up the speed they showed at Dover in May with a 15th-place effort in Friday’s opening practice session. Menard ran just five laps and posted his best speed of 162.367 miles per hour on his first lap. With qualifying a no-go, the team now begins working on fine-tuning a race set-up, and there will be two practice sessions on Saturday to prepare for Sunday’s 400-mile run on the high-banked, one-mile concrete oval. The first practice session is set for 11 a.m. Eastern Time and will be broadcast on CNBC. The second should roll off at 1:30 p.m. with coverage on NBCSN. Sunday’s Gander Outdoors 400 is scheduled to get the green flag just after 2 p.m. with TV coverage on NBCSN.